I don’t often get out to movie theaters for the latest blockbuster flicks. As much as I love movies, especially those in the action, sci-fi, fantasy, and horror genres, I’m torn between spending a few bucks for a couple hours entertainment and instead saving my money for a dream two-week vacation in some far off destination. Movies do transport us to other locations we might not otherwise be able to go (or afford to go), and to different times or realities which real travel can not. Placing my feet on the ground and seeing an exotic locale for myself is something which no movie can do. Still, I joined a friend for a rare treat tonight to see “Godzilla” in 3D, and thoroughly enjoyed it. I do share some of the same criticisms as others: Godzilla wasn’t on screen often enough; rather the other monsters had more screen time. We didn’t get to hear his famous roar often enough (that contrabass first utilized by composer Akira Ifukube). And the first third of the movie was slow to pick up steam. But the special effects were fantastic (loved that EM-pulse attack capability by the MUTOs), and the characters (human and otherwise) pulled me into their world, made me care. I wasn’t the only one cheering and clapping at the end. 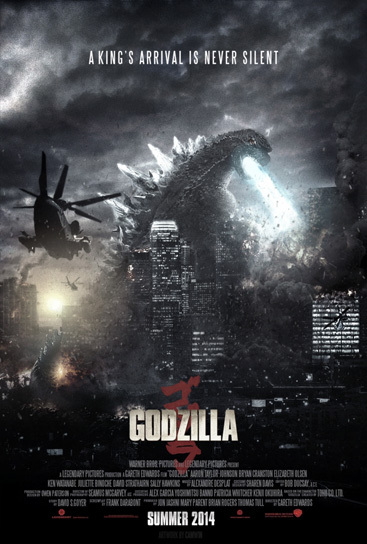 It was definitely better than the campy 1998 “Godzilla” starring Matthew Broderick and Jean Reno. I must admit, however, that I do have a certain level of fondness for that film, primarily Reno’s secret agent character and Broderick’s line (in response to Hank Azaria questioning where he’d found Reno): “Uh, he’s from France.” And who could forget the original trailer for the film? So obviously a poke-in-the-eye to the “Jurassic Park” franchise. That’s still one of my all-time favorite trailers. Unfortunately, I did walk out of the theater with yet another migraine. I’ve been doing quite well lately with the help of acupuncture and my own determination to not let the pain interfere too much with my life. But I figure between the loud volume and all the frenetic action on screen, it was a bit much for my beleaguered brain. Sure, I could’ve chosen to get up and walk out, perhaps asked for a refund, but I wanted to see this movie, and I wasn’t going to let the pain stop me. I’ll just have to take it easy, choose my movies carefully, and hope this sensitivity doesn’t last too long. F— the monsters (my pain). Go, go Godzilla. It’s been a week (three treatments) since I turned to acupuncture as a means of defeating my chronic migraines. I can’t say it’s been a miracle cure, but I do feel more alert today with more energy and enthusiasm for the tasks of daily life. Certainly this could just be one of my good days (I have a few of those in any given month), but I’m not giving up because I’ve heard from friends, co-workers, even the veterinarian, to not expect fast results. 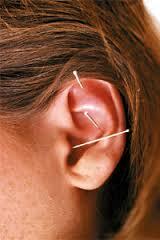 Acupuncture tends to work quickest for recent and/or acute injuries (like whiplash from a car accident). For chronic, long-term conditions, it can take many treatments before results are realized. So I will keep trying to balance my qi. (My acupuncturist tells me I’m very out of balance. Hmmm. I think many of my friends have long known that I’m off-kilter, eh?) To that end, he’s introduced me to traditional Chinese herbs. I can’t tell you which herbs are in this mixture – I had a migraine when he told me what they were and don’t remember – but they do make a tasty tea. A warm, tasty tea for cold rainy winter days like today. 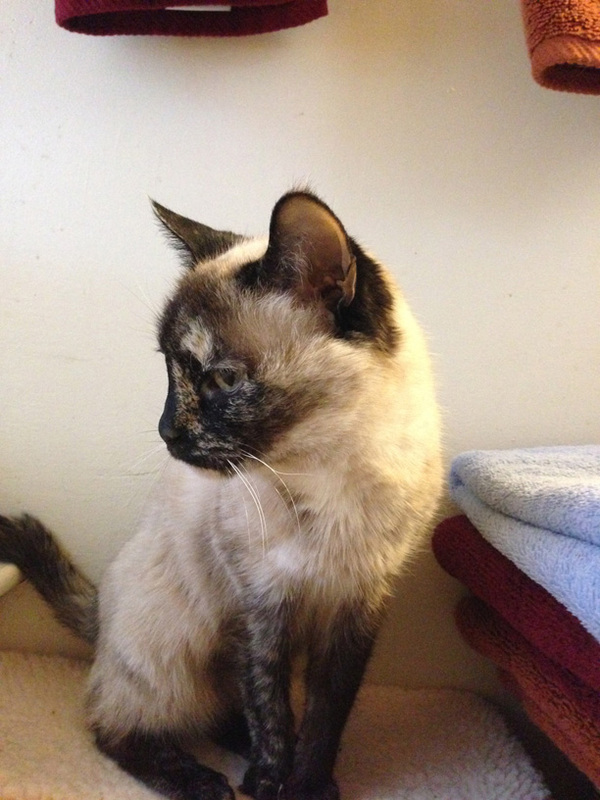 So this drizzly morning found me with a cup of steaming herb tea in my hands as I watched over my elderly Siamese cat to see if she would have a reaction to her first chemotherapy treatment (she has Intestinal Lymphoma) and reflected upon the two of us, both suffering our own pains. She can’t voice hers, but I can tell those moments when she’s not happy. However, today turned out to be a good day for her too. After giving me the stink eye for sticking a pill down her throat, she curled up in her favorite laundry basket and went back to sleep. I would usually be doing the same thing. No, not sleeping in the laundry basket. But rather, popping my own meds and curling up to go back to sleep, wasting away my weekend. Today, I ignored the familiar pain and pressure of someone drilling a hole in my skull and pressing their big fat thumb into the right side of my brain, and instead popped a favorite movie into the DVD player, Alien (the 1979 original). Despite having seen Alien innumerable times, I caught a line I’d not heard before (or maybe just never paid attention to). Toward the beginning of the film, after the egg alien has deposited its egg inside Kane (John Hurt) and fallen off and died, Ash (Ian Holm) is examining it. While the others are still wary about the creature, Ash says something like “I doubt it’s a zombie.” (I can’t recall the exact line.) And for the first time in a long while I felt a little spark of creativity. I found myself imagining the Alien aliens as zombie aliens. As if they aren’t already hard to kill! Now you have to kill them again! Too bad I don’t have rights to those characters. I could’ve run with that idea. I never before pictured myself as a pincushion, but there I was on my back, with tiny, thin needles in my feet, hands, and left ear. And a couple in my left leg. If you’ve never tried acupuncture, it’s hard to describe the sensation of those little needles going in, but they don’t hurt. Except for the ones in my ear, and I gradually got used to those. 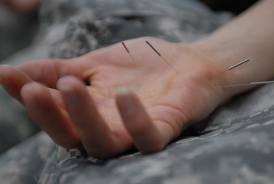 What was weird – and painful – for me were the sensations inside my head as the acupuncturist chased the pain from one spot inside my brain to another with each needle insertion. Not that I’ve never before had headaches which moved around, but to feel them do so decisively at the behest of an outside influence is just, well, weird. Finally, the pain seemed trapped on the upper right side as the acupuncturist inserted one last needle and left the room, letting my body adjust and to heal. The pain wasn’t finished of course. It had itself a merry little dance from the right side of my brain to the left, and back, settling into a strange-feeling patch of pressure around my right ear, and then back over to the left, before – perhaps with nowhere else to go – it slipped away, leaving my brain finally free. A stupendous feeling. That may not seem like such a big deal to someone who suffers from only an occasional headache, but to a migraine sufferer or someone with chronic headaches or cluster headaches, having a pain-free brain sometimes feels like a miracle. Especially for me lately. These past few months have seen maybe five pain-free days each month, leaving me in a perpetual fog. Know what it’s like to feel as if your brain is wearing a wet fuzzy sock? I do. It’s especially frustrating for a writer like myself, with my ability to concentrate, to create, rapidly diminishing under the onslaught of pain and medication. This had become the norm for me. My brain had come to expect the pain, to look for it. But I cannot let myself succumb to this new normal. Not only do I need to function in daily life, I also need to write. And that’s become increasingly harder as the months crawl by. (Hell, I haven’t even been able to muster enough motivation to read a book.) 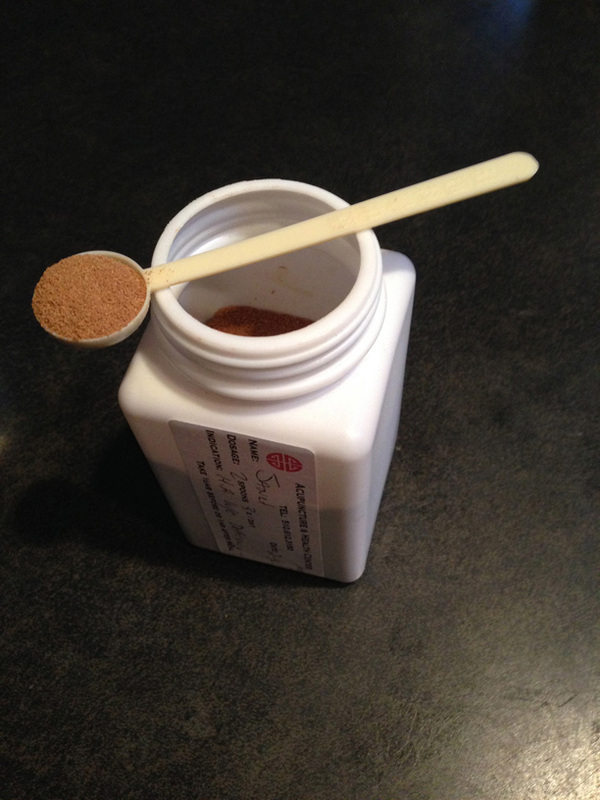 So I’ve decided to try something different, an alternative medicine which some people are skeptical about, but which others I know have had success in dealing with chronic pain and other issues. I’ve only had one treatment so far, and it’s not an instant cure, but I’m willing to try. I want to try. I want the old me back. The pain won’t give up the fight easily. I can already feel it trying to worm its way back through my brain, trying to take over my life once again. But I can fight back. And I’m looking forward to a good fight!